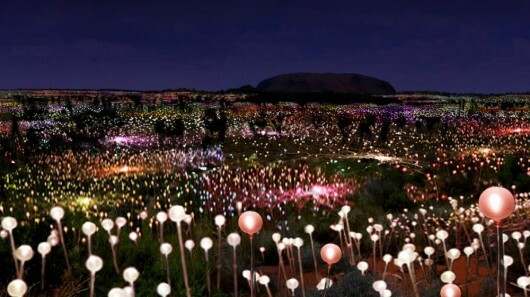 Installation artist Bruce Munro has come up with an ambitious plan to transform the Australian desert landscape around Uluru (Ayres Rock) into a field of glowing solar flowers. If fulfilled, Munro’s long-held dream would see the installation of over 250,000 solar powered light stems over a one square kilometer (0.4 square mile) area. To complete the immense project, Munro would use 3290 kilometers (2045 miles) of fiber, 165 kilometers (103 miles) of recycled acrylic tubing, 250,000 glass spheres and steel ground stakes, plus 500 custom made solar powered illuminators. 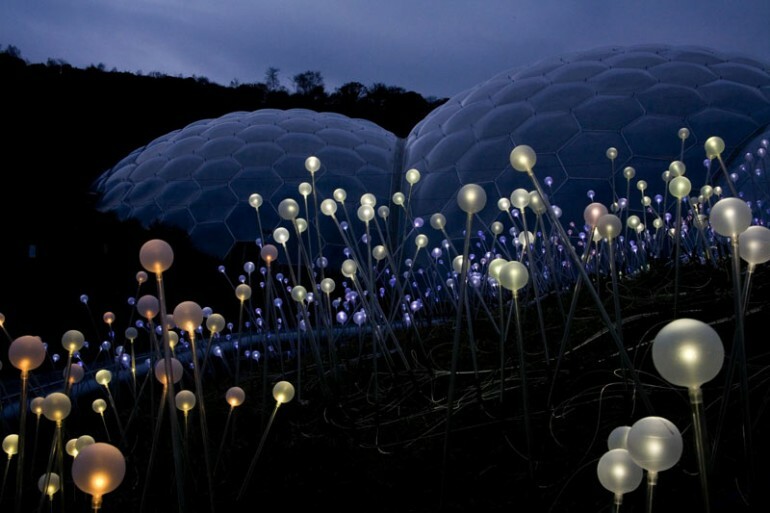 These illuminators would ensure that the flower-like lights are 100 percent self-sustaining, leaving a minimal carbon footprint as possible. It will take 1000 man days to construct the solar lights and a further 1850 man days for a team of 41 men to install and dismantle the installation. 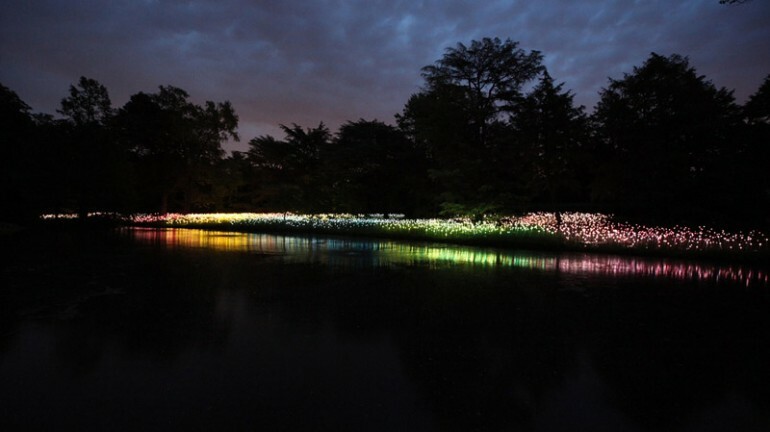 If Munro is successful in fulfilling this dream, there is no doubt that the outcome will be spectacular installation and a light show not to be missed. 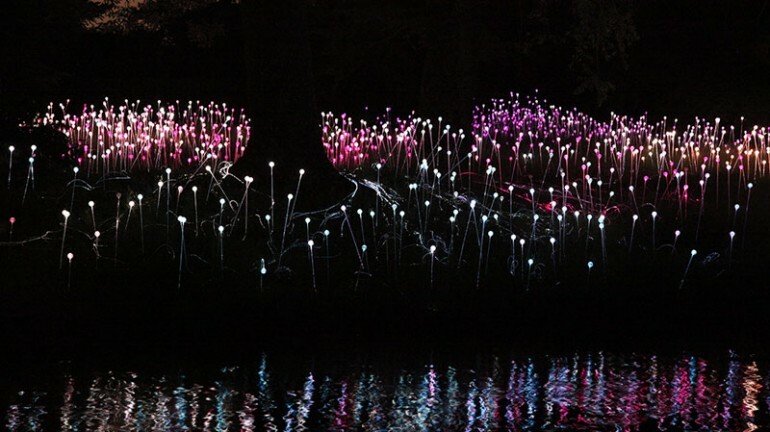 “The Field of Light, like the dormant seed in a dry desert, quietly waits until darkness falls and then under a blazing blanket of southern stars it blooms with gentle rhythms of light,” says Munro. 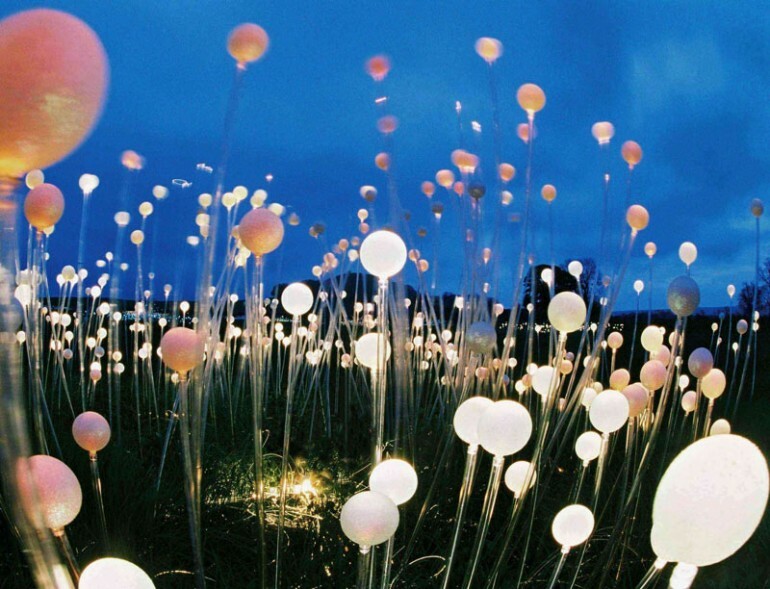 Munro hopes to install the Field of Light at Uluru from April-October 2013 and is currently seeking fundraising contributions online to help realize the project. While the result would no doubt be visually stunning, the question is whether or not it would enhance or detract from this already spectacularly beautiful landscape which, as Munro is careful to point out, is also a sacred place for the Anangu people. Inspiration or artistic vandalism? Let us know what you think in the comments section below.